Building and maintaining a strong business credit report takes time, and good fiscal discipline, but many business owners don’t know where to start on their road to strong credit. Business scoring is much less regulated than consumer credit scoring. The process of scoring your business is much more complicated and less clear than the consumer scoring process. For example, additional factors that can impact business risk models include the number of years a business has been operating and its industry type. Just because you have a business, don’t assume you have a business credit score. Credit bureaus require a minimum amount of information before they can generate a report and score for your business. To establish your business credit history, encourage your vendors to report your payment history to the business credit bureaus. Many credit bureaus can provide you with information on suppliers who report to them. Next – let’s talk for a moment about separating your personal and business credit. To build strong business credit, don’t rely on your personal credit rating to finance your business. If your business becomes at risk, so will your personal credit score. Keep in mind that many creditors are now looking at scoring tools that consider both personal and business credit to predict small business risk. It is not widely known that access to business credit scores and reports is not as restricted as personal credit reports. Business credit reports are available to the public, and anyone – including potential lenders and suppliers – can view your business credit report. This makes it imperative to monitor your business credit score and report in an ongoing manner. Also – You can proactively manage your business credit score. Ensure your vendors are reporting your business payment history, and monitor your business’ credit on a regular basis. 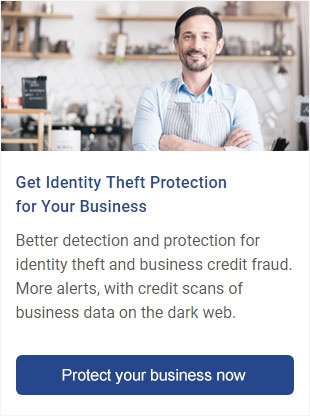 For more information on business credit resources, plus articles and tips on this subject, go to BusinessCreditFacts.com. Learn more about establishing business credit by viewing our series of Business Credit Facts videos. Remember to subscribe to our channel for ongoing updates.